It’s National Hippo Day on 15th February, and the perfect opportunity to make these Happening Hippo Crafts for Kids! 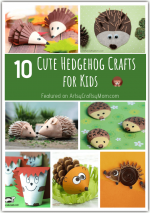 Make bookmarks, snack boxes and more! Whales and elephants are well known as the largest mammals – on water and land respectively. These animals feature in school quizzes and all the ‘biggest’ lists, but there’s another guy who doesn’t get as much attention though he is pretty big – the humble Hippo! After elephants and the white rhinos, hippos are the largest mammals on land. But since they spend over half a day in the water, we tend to underestimate their real size. Did you know that they can even sleep under water? Looks like hippos have a lot of hidden skills! 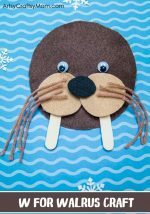 And since 15th February is National Hippo Day, it’s the perfect opportunity learn about all the amazing things about hippos – by doing some hip and happening hippo crafts!! 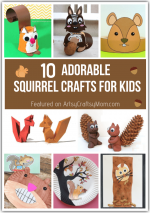 This art project from Plateau Art Studio is a great open ended project for kids. There is a lot of potential to add colors, details and textures to this, while also making this as quirky a craft as you want! Are you so impressed with the hippo that you want to be one yourself? With this printable hippo crown, consider it done! This cute crown is perfect for a Safari or zoo theme birthday party. Here’s a cute hippo craft that you can make with an old CD. A little bit of felt scraps and some glue are the only extra supplies you need to make this rather goofy looking hippopotamus under water – yes hippos can stay under water for up to five minutes! There are so many toilet roll animal crafts out there and this toilet roll hippo from Creative Family Fun is the perfect addition to the set. Male hippos show off their large canines to keep away other males – which is probably what the hippos in here are doing! I Heart Crafty Things has a fun hippo craft that uses paper bags and paper plates. Painting the hippo yourself adds a unique touch to the hippo. And don’t miss those mini marshmallow teeth! 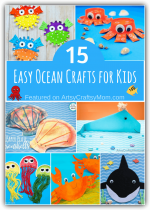 Easy Peasy and Fun has a hippo craft that’s just like its name – easy peasy! All you need to do is to download and print the printable template, after which the hippo will come together instantly. Hippos can eat about 35 kg at a time, and this big mouth should help with it! Hippos are identified by their stocky build, but did you know that despite those short legs, they can run 30km/hr. However, these hippos from Crafting in the Rain aren’t going anywhere – they’ll stay put and store your snacks! A hippopotamus that hiccups ‘quite-a-lotamus’ and ends up falling on his ‘bottomus’ – that’s the Hiccupotamus for you! 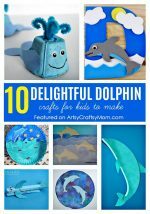 I Heart Crafty Things has a cute craft based on the book, using tissue paper to create beautiful watery waves. Red Ted Art has a tutorial to make yourself a good looking hippo friend who’ll keep your place in your favorite book. Do check out the full set of safari animals along with the hippo. 14th February is Valentine’s Day, and 15th is Hippo Day. So it’s only natural to make a Valentine Hippo! Simple Mom Project has a free template which makes this craft a super easy one to make. I’m pretty sure you’re thinking that hippos are pretty awesome animals! 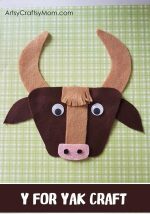 That’s why we love animal crafts so much – they’re a gateway to learning so much!